‘Knowing your Worth’ is important when you invest your productive 8-9 working hours in a day for a valuable cause or reason. If you think you’re being underpaid at your job, you probably might be the one. Organisations have a list of justified reasons to let you know that they pay you just and fair. But the real burnt is being borne by you. As a responsible and accountable employee, you may not choose to question the organisation but yes, it is your right to ask for the salary revision if you are not paid as per the industry standards. The market value of an employee is determined by the value of skills that the organisations require and hence the salary is the key determinant to reward you for the efforts that you invest. If you survive in a remorse of staying underpaid vis-à-vis other employees in the same industry then do not become the victim of unfair compensation. The initial step is to identify the signs whether you are really underpaid or not. Here are a few symptoms which will help you diagnose if your perception is correct or is it just a misconception! 1. Organisation is progressing but you are not! There are chances that your organization is progressing at the hare’s speed but your progress remains at tortoise’s pace. And not every time slow and steady wins the race when the inflation is rising at a pace higher than the increase in your salary. In order to seek the financial health of your organization, you can refer to their quarterly reports or financial statements. In stock listed companies they are available publically, but if your organization is not one of them then you can avail such information from your boss/manager. The percentage increase in the growth of your organization will help you analyse your growth in the past and present with that organization. That average is determined by the area you work in, your role, and your industry. It varies and again, many factors come into play. But, with a little online research you can get a better idea if your salary is in the range it should be. Don’t just assume your organization’s earnings have increased over the past few years; rather make efforts to understand the actual figures. It is important to understand the level-playing field of your organisation. They might have plans for expansion or mergers, or new product launches etc. 2. Higher responsibilities Lower pay! It has been said that “Take responsibility of your own happiness, never put it in other people’s hands.” And the quote stands true for your job as well. When additional responsibilities are entrusted upon you, it is a positive signal of the company’s trust in your work and credibility. But on the flip side, if you feel that there is a high miss match between your responsibilities and salary then it is a matter of concern. However, do not jump to a conclusion that there lies a wider gap in your salary and job responsibilities unless you have confirmed the same with the industry standards. You can approach head hunters, job consultancies, salary calculator and portals such as Glassdoor and many more to enquire about the current trend of salaries in the market. Only after your doubts get confirmed about the lower pay as against your work profile, then consider taking up the matter with your manager. If the concern remains haywire, then you can also raise the issue with the concerned HR personnel. It is always better to talk on the issues then staying quiet and feel frustrated or de-motivated while working for the organisation. Let the organisation know that you are not happy with the reward decided by them as against the nature of responsibilities being demanded from you. An indifferent attitude towards the salary can be another major factor due to which organisation doesn’t bother to compensate you handsomely. They are smart at analysing your lifestyle and other personal details which exhibits your attitude towards the need of fetching just salary for work in you. If you remain nonchalant with the salary, it also portrays your indifferent attitude for the work and responsibilities allocated to you. It is unfair to remain underpaid and the attitude is one measure which plays a bigger part in getting fairly remunerated. If your work is being valued by the organisation, they would not want to lose a good employee and there are high chances that you will get remunerated fairly. 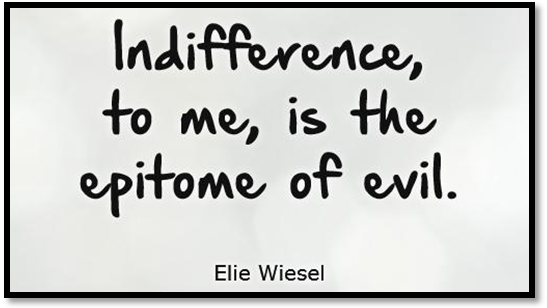 The above quote defines the demerits of indifferent attitude in professional life. It is advisable to stop being self-complacent with your job and salary; you might be thrown out of the game sooner or later. Stand for your rights and let the organisation know your voice if you get paid unfairly. A study by CreditCards.com found 62% of Americans (i.e. world’s one of the developed economy) face trouble falling asleep because of at least one financial problem. As a result they become immune to health disorders and other health issues such as lowered immunity, high blood pressure, diabetes, and decreased heart health. All these issues are relevant in this context because they are a product of saying underpaid at work. 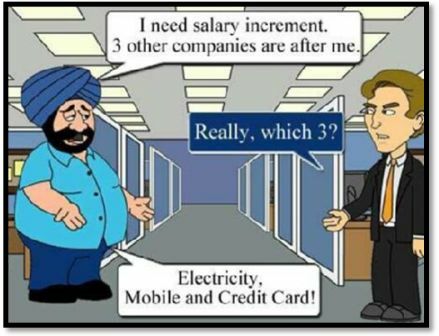 If you feel like a man in the cartoon below then you must consider getting either your salary revised or hunt for other opportunities which remunerates you fairly. Rather than becoming a victim of scarcity of money (i.e. salary), consider asking for a raise and deliver best results at work. If the current job does not carry any scope for the growth in terms of salary and other benefits, then switching is another good option to make the ends meet and save for the future needs too. When you are in a deadlock of not fulfilling your current needs, then saving becomes a far cry. However, for maintaining a harmonious work-life-balance, a suffice salary is indeed a necessary requirement. 5. Underpay: Is it a fact or fiction? It is said that “All things are subject to interpretation” which means that staying underpaid might also be a state of mind. Just because others are happy and are earning more than you doesn’t concludes that you are not getting the desired pay. A concurrent comparison with the similar skill sets and responsibilities must be done to understand if you are really underpaid. Try to look and collect evidence that justifies that your salary is not up to the mark. Approach your reporting manager and have an assertive talk with them regarding your salary. Find out the salary which other players are offering for the similar skill set that you posses. A wrong perception of getting a lesser salary then what you deserve will make the matters worse. It will affect your productivity. You might also end up looking for the jobs outside and kill your precious time in finding another job. Transition from one place to another at the opportunity cost of receiving the same amount of salary is not a good decision. Indentify these signs carefully at your workplace to reaffirm the clouds of doubt. All these signs are the best indicator if you are underpaid. Consider this issue on priority and consult the HR personnel or your manager about it. 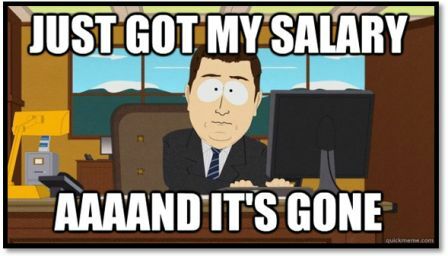 Salary is the prime motivator for an employee and if this remains unsatisfactory, you will feel de-motivated and will lose interest in your job sooner or later!